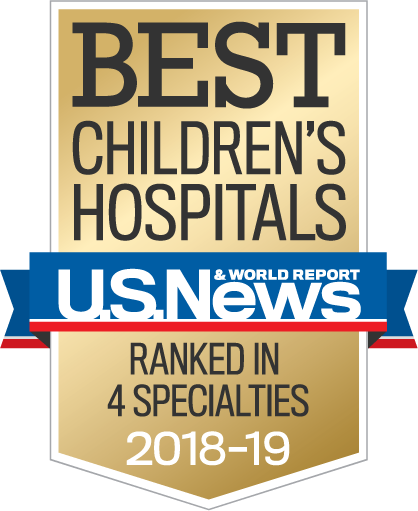 The new rankings recognize the top 50 children’s hospitals in 10 specialties: cancer, cardiology and heart surgery, diabetes and endocrinology, gastroenterology, neonatology, nephrology, neurology and neurosurgery, orthopedics, pulmonology and urology. The Best Children’s Hospitals methodology factors objective measures such as patient outcomes, including mortality and infection rates, as well as available clinical resources and compliance with best practices. Akron Children’s Hospital Chief Strategy Officer Shawn Lyden said the hospital is always pleased to receive external recognition of the quality of its programs. Akron Children’s Orthopedics service is ranked in the Top 50 U.S. News. 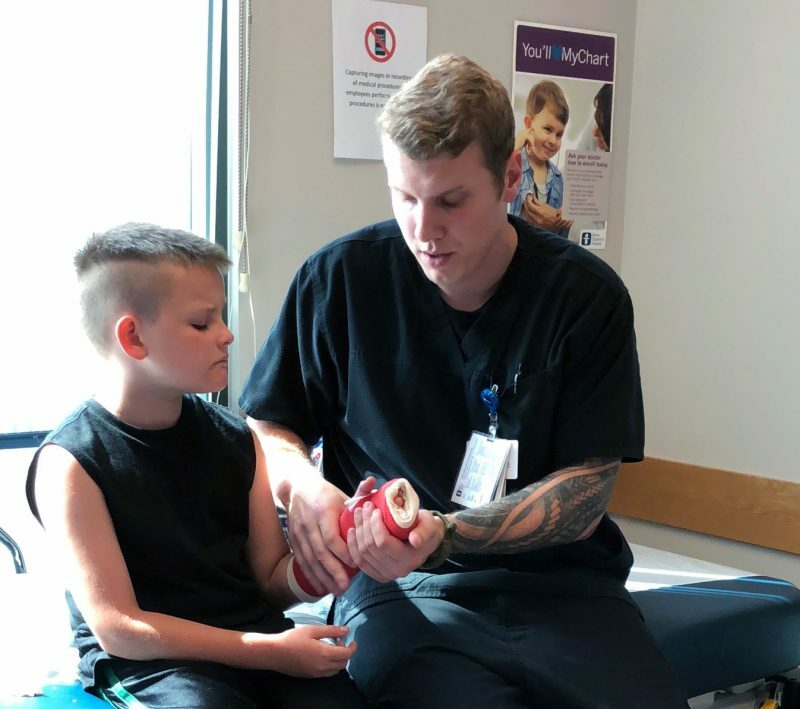 Here, Colten Snyder, 9, from Seville, gets a cotton cast by orthopedic technician Dylan Natko. In Pediatric Orthopedics, the department has developed a strong culture of quality and safety using a scientific approach with multiple team members participating in process improvement. Dr. Kerwyn Jones, chair of the Department of Pediatric Orthopedics, also believes his department’s ranking reflects increased exposure and a growing reputation among their peers nationwide. “The increased involvement of our providers at national venues includes research presentations and publications, active participation in national quality initiatives and leadership involvement with national orthopedic projects aimed at improving pediatric orthopedic health care,” said Dr. Jones.